This one starts with the body of an elderly artist, her injuries indicative of her having fallen from a balcony on the twelfth floor of the hospital where she’d been admitted for a minor operation. Estranged from her husband for years Barbara Hennessy has two children: Joe, a dodgy car salesman, married to Janice, and Tracy, a teacher whose husband is currently unemployed. The action, all background stuff to begin with, shifts between the two couples but is dominated by the person of Ahmed, a hospital cleaner. He takes priority because he cleaned Barbara’s room, and he’s the obvious suspect, not because he’s a Syrian refugee (although there is an element of racism prevalent) but the evidence against him is damning. Barbara’s rings are found at his house, and one of his hairs is on her nightgown, not to speak of his prints being found in her room - which is to be expected – but also on the balcony from which she fell, or was thrown. 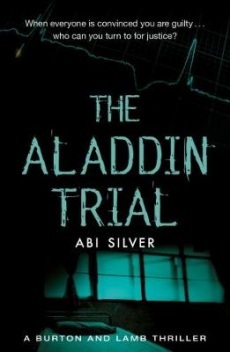 He could be no more than an opportune thief but unfortunately Ahmed is rather too clever for his own good and asks for a solicitor too soon - which introduces Constance Lamb, a solicitor, who works with the barrister, Judith Burton. Forensics determine that Barbara’s death was neither suicide nor accident and, since there is only one further option and the prime suspect is in the frame already, Ahmed is charged with murder. Lamb and Burton are not convinced of his guilt but they’re well aware that if they’re to save him from a life sentence their best bet, considering the evidence against him, is to find the killer. The obvious place to start is the hospital but there they run into a concrete wall, unsurprising in today’s climate, with medical authorities terrified of litigation, but why should the medics who attended Barbara on the one hand be so concerned, on the other dismissive? The reader (not the investigators) is teased with meaningful glances between colleagues, and innuendoes. Everyone is hiding something, although Ahmed’s secret extends to his family and involves some terrifying experience. He refuses to talk so Lamb goes for the weak links, tackling the mother, initially mute and agoraphobic, then the fiercely protective young daughter. Her success evolves slowly, a running thread among several. As for the immediate family of the dead woman, what is her son, Joe, hiding other than chronic dalliance with his successive secretaries at the BMW showroom? And why is his sister’s husband so bothered about being followed in the street? Where finances are concerned, both families are living beyond their means so the reading of Barbara’s will comes as a shock when it transpires that their mother, whom they thought had barely survived on her state pension, died worth nearly two million, to be divided between them. This is a joyful bonus until they hear the onerous conditions attached to their legacies. As a consequence Joe turns on the solicitor: an unwise move since not only was he Barbara’s friend and lover but a wily old bird not above a bit of adroit sabotage in a good cause. As if we don’t have enough plots to deal with, rather too near the end we come to the Aladdin of the title but to indicate in which of the several scenarios it figures would be the ultimate spoiler. Suffice it to say it’s all topical, plausible, and superficially logical. In print it could have done with a few tweaks here and there but as a puzzle it satisfies those old brain cells indifferent to style or grammar. A book for the beach.